Every so often, I have a patient who presents to my office with a complaint that their voice sounds different on recording than what they themselves hear. In particular, singers who come in state specifically that their vocal recordings sounds slightly flat when they thought they were singing in perfect pitch. So why does this happen? 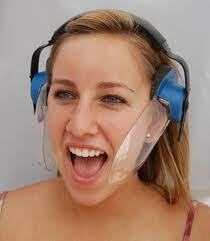 Unfortunately, it is physics and fundamentally integrated to how the ear, skull, and sound transmission work. In other words, it can't be "treated" with surgery or medications. 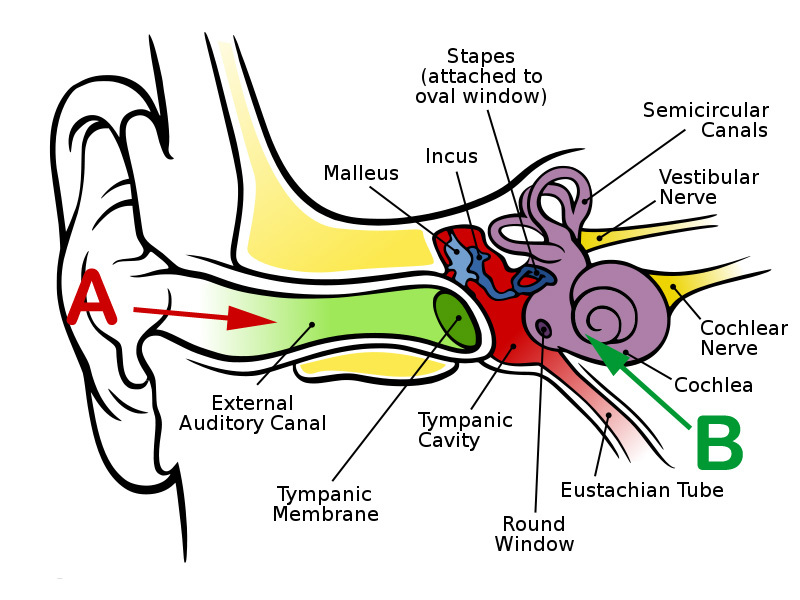 What other people hear when you sing or talk is air conducted sound that gets transmitted through the ear canal, eardrum, middle ear bones, and ultimately to the cochlea hearing organ (pathway A). 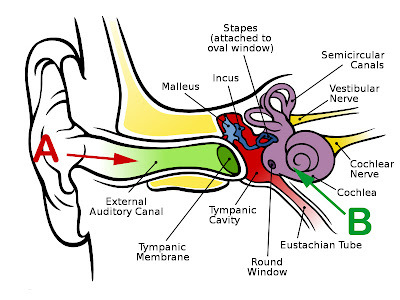 The sound the individual singer/talker hears is not only sound transmitted via the air (pathway A) but also by vibration of the skull itself directly to the cochlea hearing organ bypassing the outer and middle ear completely (pathway B). The mechanical properties of the skull enhance the deeper, lower-frequency vibrations. 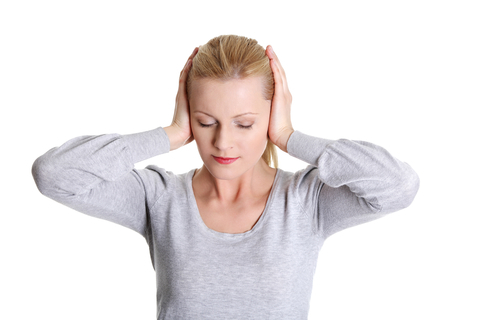 Therefore, when a talker/singer listens to a recording of their voice speaking/singing, the bone-conducted pathway that they consider part of their “normal” voice is eliminated, and they hear only the air-conducted component in unfamiliar isolation (what everybody else actually hears). SO... what is a singer/talker to do if they are disturbed by the way they sound to others? Particularly, what is a singer to do when they always sing a little flat when they truly think they are singing in pitch? One can wear earplugs in order to hear only bone-conducted vibrations and get used to their alter-voice and undergo speech/voice therapy. OR... accept that their voice IS different. For singers, I highly recommend using HearFones Headset which is a funny looking head device that allows an individual singer to hear what they really sound like and more importantly what the audience would hear! In addition, while using HearFones, the singer would be able to hear himself more predominantly over the rest of the ensemble thus helping him to improve the quality of his/her individual vocal quality output. This is why professional singers often wear earpieces that convey sounds recorded by microphones placed in the audience... and also why they sometimes sound flat and out-of-tune when they don't! It's also why it is VERY important to rehearse in a new place before a concert. On a related note, most individuals state that they do not "like" they way they sound on a recording. However, according to one study, people unconsciously prefer their recorded voice over others. Of note Dr. Chang was mentioned on NBC news regarding this question in this story.